“Oh, honey, that’s O.K. I know how it is when kids get talking. Sometimes the teacher just has to get you to quiet down. Don’t worry about that.” I was getting kind of confused because Julia’s story and her frenetic sobbing didn’t seem to match up. The book itself wasn’t the source of Julia’s sobbing—my daughter knew how I felt about lying, and at that moment she was being convicted of her sin in that area. I could not have been more pleased. “So, what do you think you should do?” I asked. Julia and I talked for a while about telling the truth and confessing our sin and how she would approach the situation with her teacher. The next day, about 15 minutes before the start of school, Julia and I walked hand-in-hand toward her classroom. Thankfully we caught her teacher just as she was walking into the room and a few minutes before the flurry of the day's activities began. She sat patiently with us as Julia, through more sobbing and tears, confessed her lie to her teacher. And then the most amazing thing happened. Her teacher tenderly forgave her. (Can I just say thank God for Christian teachers in the public school system?) That dear woman, under whom all three of my girls had the opportunity to learn, blessed my daughter in such an amazing way that day, just by forgiving her. That moment was so difficult for Julia (although, let me just tell you right here and now that this wasn’t the first time I had had to accompany a child to a confession to a teacher *ahem*), and yet it became such a step of maturity for her. Her teacher’s reaction had so much to do with it. It was such a beautiful, tangible picture of what our Heavenly Father does for us when we confess our sins to Him that I was left crying myself—so thankful for a teacher who “got it” and freely forgave my daughter. And you know what? Julia practically floated out of the room after our little talk with her teacher. She beamed. So happy to have received forgiveness. I have a feeling that because of that, Julia won't hesitate to apologize for her wrongs in the future. And I have a feeling she'll think twice before she tells a lie to a teacher! I learned something about myself when I became a parent—I hate lying. Any form of it. Untruthfulness just sits wrong with me. From the time my girls were very young and began to experiment with lying, they began to see that it was one of those unpardonable sins in my book. They’d get disciplined for lying every single time. So why does it matter that your children tell the truth? First, because God commands it. Remember the 10 Commandments? Don’t bear false witness against your neighbor? That’s lying. Second, because your child’s reputation is at stake. I would venture to say that Julia’s teacher probably felt like she could trust her after that day. On the flip side, I know kids who regularly tell lies—even of the white variety—and honestly, I take what they tell me with a grain of salt. In the back of my mind I often wonder, “Really? Is that the truth?” Don’t you want your children to be known for being trustworthy and honest? Third, truthfulness matters because it’s right. It used to be that a person’s word was his bond, but that’s no longer the case. We live in a world of lawyers and lawsuits and courts trying to determine whose word can we trust. How much more will our children stand out in this world if they become adults who are truthful? But the time to instill truthfulness in a person is when they are young—it becomes much harder to break the lying habit when kids get older. How Do You Instill a Sense of Truthfulness? Insist on it. Every time. If you catch your children in a lie, take them aside and talk about it. Discipline it. Take care of it before it gets to be too big. My girls knew that if they told a lie there would be consequences—every single time. They knew that I would not mess around with lying because it is so important to their character. 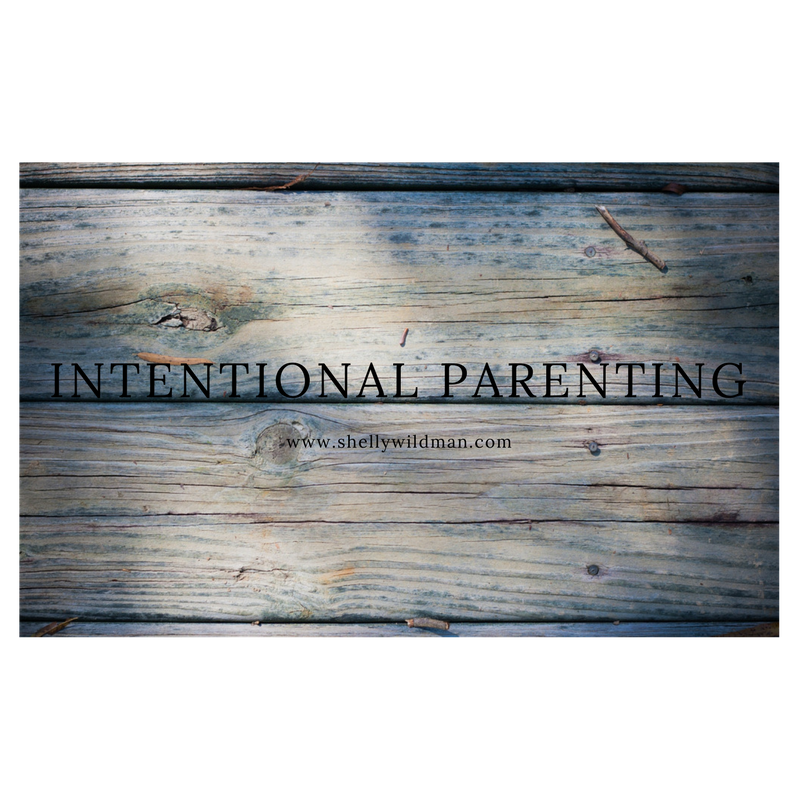 I was intentional about truthfulness from the very beginning. But here’s the interesting thing I’ve found . . . because I took truthfulness so seriously and punished lying so consistently when they were young, my girls have grown into honest young women whom I know I can trust to tell the truth. They are women whom their teachers can trust, whom their college roommates can trust, and, most importantly, whom their future spouses can trust. As they become trustworthy women, God can entrust them with so much more than if they were women with lying lips. And that’s ultimately what we should all want. So I want to encourage you today to intentionally break the lying habit. If it's a problem in your life, stop it. Today. And if you see your kids venturing down that road, save them from the inevitable crash that will result. Don't allow even "white lies" (they're still lies!) to cross their lips. Insist on truthfulness all the time. Now talk. How do you combat lying in your kids? What do you think about those little white lies?